Bloodroot plant, Sanguinaria canadensis, is also known as Red Puccoon, Indian Paint and Tetterwort. A low-dose botanical, native to the moist woodlands of Canada and eastern USA. Plant sap contains important alkaloids. Herbaceous perennial. Bloodroot plant prefers to grow in dappled light with good to perfect drainage. Supplied as dormant and bare rooted plants packed in coir. Pre-ordering is essential. Freight included in the price. 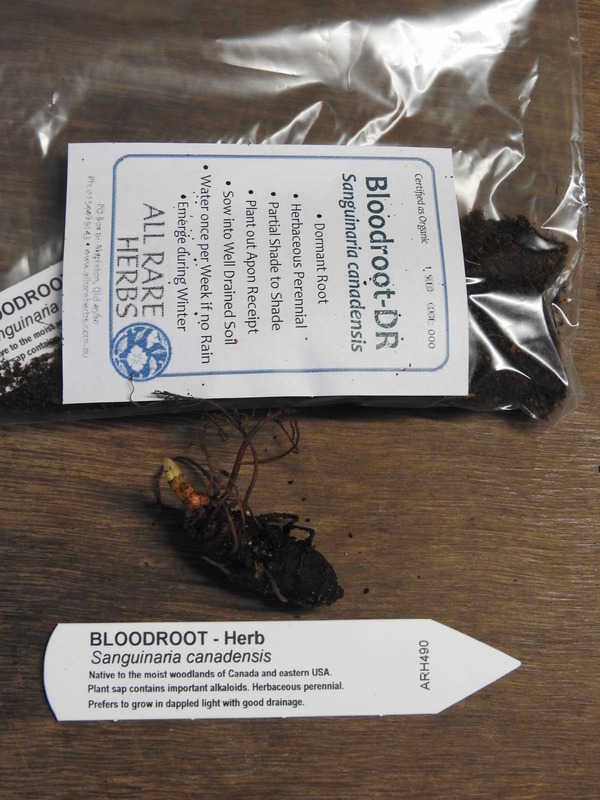 Be the first to review “Bloodroot plant, delivery July 2019” Click here to cancel reply.